I’ve been visiting several wineries per week for the last few months and that means drinking young, recently-released wines. Of course youth must be served but, after so many infants, I miss the musty, old books smell and the taste of sweet, stewed fruit you get from old geezers. 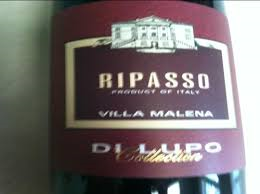 So when I saw this 2008 Ripasso on the shelf of a New Jersey liquor store for $9 I jumped at it. Buying old wines off the shelf is risky. It has probably been sitting there at room temperature for years. But a $9 bottle of vinegar wouldn’t be a total loss. I was greeted by aromas of stewed prunes, slightly sherried, mixed with smoke and orange zest. Lots of life left in it with good complexity despite smelling like breakfast at the old folks home. In the mouth it feels thin, with tart, salted plum notes dominant. With the tannins having receded, the acidity is exposed so its not quite in balance. But the finish retains the characteristic bitter herb flavors often found in wines from Valpolicella. It’s become a little crotchety after 8 years but it was so nice to taste maturity for a change. ”Ripasso” means the wine rested during fermentation, on dried grape skins used to make Amarone giving the wine more structure and flavor, and perhaps adding aging potential. There are probably not too many bottles of this around but if you have some stashed above the refrigerator it’s time to drink up.